If you're from a Christian background, and you feel that the faith of your youth no longer explains the complexities and realities of the life you've come to know, these resources may help you see another way of living your faith. They helped me shift from the dualistic, black-and-white, dogmatic belief system of a conservative Christian upbringing into a non-dualistic, both/and, dynamic spiritual practice that affirms life, helps me live with an open heart, and points the way to "the peace that passes understanding." 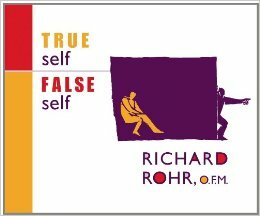 Rohr's model of True Self and False Self has helped me make sense of my struggles with ingrained, reactive patterns. When I feel embarrassment, pride, offense -- these are all signals that I'm living out of my False Self. Rohr references Wilbur, Merton, Tolle, and the Christian mystics to help illuminate the process of living out of True Self. While Rohr comes at this from a Christian perspective, people of other faiths (or no faith) can benefit from his teachings. McLaren presents a perspective on Western Christianity that gracefully exposes some of the false premises upon which it rests. He doesn't throw out the baby with the bath water. Rather, he presents a new way (or not-so-new way) of living in this world as a follower of Jesus. An Anglican priest friend of mine gave this to me to read when I visited him and his family in the UK, and I shared with him my struggles around my faith. Bell has received a ton of criticism from conservative Christians for this book, and for me, that's a good sign. 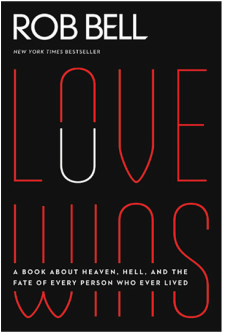 His basic premise: If God is Love, how could it possibly be that s/he doesn't succeed at wooing every human soul. It's not possible. Love wins. 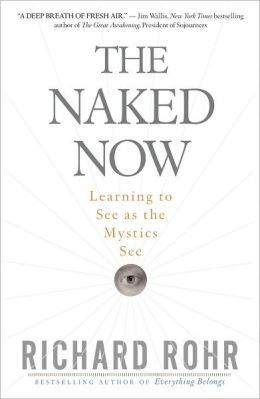 I like to think of Rohr's Naked Now as a Christian take on Tolle's A New Earth or Power of Now. Rohr probably wouldn't appreciate that perspective. 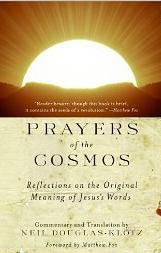 This book presents a way of being that Christian mystics throughout history have embraced -- being present to what God is doing right here, right now. I used to read Paul from a Westernized perspective, and over time I slowly grew to dislike him. 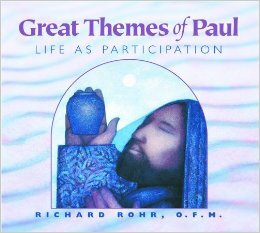 But Rohr puts forth that Paul was an Eastern thinker, and when we read his writings from that mindset, everything changes. If you want to get a crash course in reading scripture from a non-dualistic perspective, this is a great resource. I've been saying the Lord's prayer for most of my life, but at some point the words lost their meaning. In an attempt to revitalize this millennia-old prayer, I started listening to it in Aramaic. The first time I heard it, I experienced cognitive dissonance (What?? Jesus didn't speak English??). And this opened the door to a new way of praying. Klotz's book is a wonderful resource for learning to pray this traditional prayer in a whole new (or old?) way (including mind-body practices to accompany each phrase). Some people don't agree with his interpretation (see Amazon reviews), but it resonates with me.